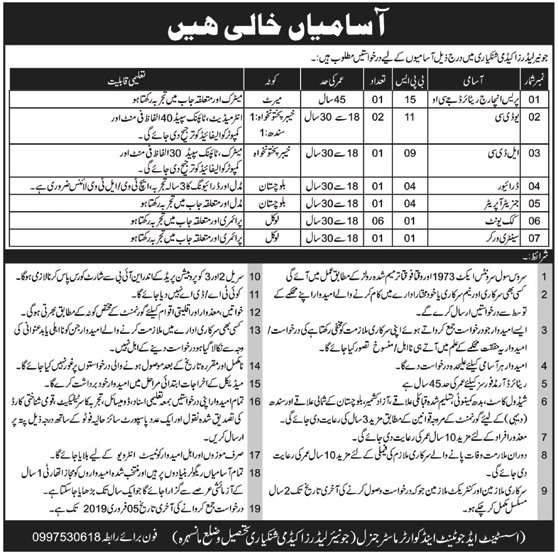 Below are the complete details of the Upper Division Clerk jobs in Junior Leader Academy in Shinkiari. Skills Required for Job: Good communication & Fluency in Urdu. Listening, Speaking and writing & Analytical and Problem solving skill. 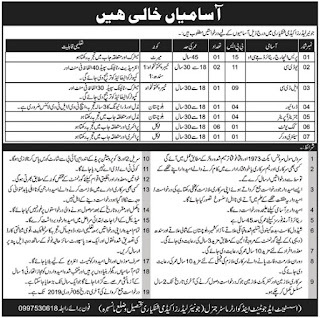 Qualification: Required Qualification: Matric Required Experience Must have relevant of working experience in similar job role & Interested candidates send your cv Upper Division Clerk jobs in Junior Leader Academy Shinkiari , in Pakistan published on Paperpk.com from newspaper on January 12,2019. Job seekers who are already working as Male Clerk , Admin Clerk , Clerk , Junior Clerk , Store Clerk , Data Entry Clerks , Gate Clerk , Online Customer Order Clerk can also apply for post of Upper Division Clerk.